There's more than just Downton Abbey and Sherlock on PBS. And, yes, Downton will be back with season 5 in the United States in 2015 and Sherlock will be back with season 4 in 2016. But first... PBS has announced the full schedule for "MASTERPIECE Mystery!" for 2014. It's a swoon-worthy schedule, what with David Tennant, Jack Davenport, Matthew Rhys and Matthew Goode in the midst of it. Although David Suchet may be hiding behind a rather eccentric mustache, he, too, qualifies as swoon-worthy for his intelligence alone. The Escape Artist, in which Tennant will play a "brilliant defense lawyer with a storybook family and a potent nickname," comes to PBS in June. The nickname is, of course, the Escape Artist, as this barrister specializes in getting his clients (guilty or not) out of tight legal corners. But then he comes up against a tough case -- and a really creepy client -- that changes everything. Sophie Okonedo also stars as a rival defense attorney. Although The Escape Artist ran in three one-hour episodes in England, it is set for two 90-minute episodes on June 15 and 22 on PBS. You can see a preview of the first show on the PBS page for Episode 1. Next up is Shaun Evans as the rookie Constable Morse before he became Inspector Morse in the second season of Endeavor, which runs from June 29 to July 20 in the Sunday night Mystery! slot. The four episodes are titled "Trove," "Nocturne," "Sway" and "Neverland," if that offers any hints as to what young Endeavor Morse is up to this time out. 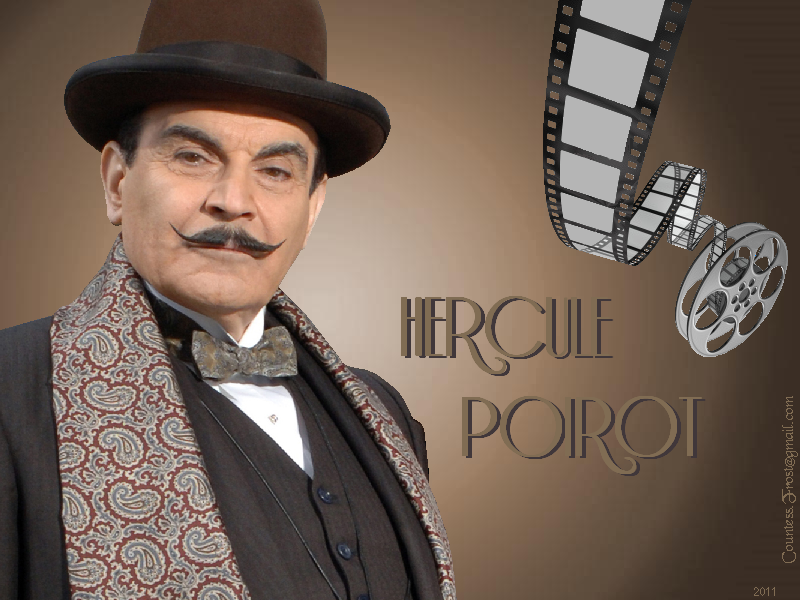 David Suchet and his version of Hercule Poirot return for two mysteries, "The Big Four" and "Dead Man's Folly," on July 27 and August 3. Suchet is absolutely my favorite Poirot, better than Peter Ustinov, Albert Finney or even Hugh Laurie (in Spice World.) He and his little grey cells will take on cases set up for him by Agatha Christie in 1927 and 1956, respectively. 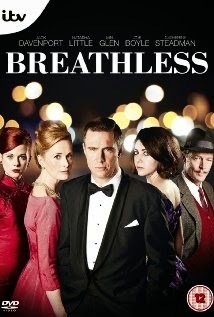 And then it's Breathless, "a stylish and compelling new medical drama set in London in 1961," with the handsome and talented Jack Davenport, who you may remember from Smash or The Talented Mr. Ripley (he was much better in the latter than the former) or even from the Pirates of the Caribbean movies. There he is at right, looking all debonair and slick, sort of like the gynecological version of Don Draper, surrounded by one redhead, one blonde and one brunette. As the press release tells the story, "Breathless opens in 1961, a time when Britain was on the brink of the '60s revolution – abortion is illegal and the contraceptive pill is only just available to married women. Set in and around a busy gynecology unit, medicine becomes the perfect stage to play out the shifting and complex moral codes of early 1960s society." You can see for yourself August 24 to September 7. This sounds more soapy than mystery, but Jack Davenport is always worth a look. For more classic mystery stylings, there's more of Miss Marple with Julia McKenzie in September and more of Inspector Lewis with Kevin Whately in October. And then it's P.D. James' version of Jane Austen, with Death Comes to Pemberley, a sequel of sorts to Pride and Prejudice, casting Elizabeth (played by Anna Maxwell Martin) and Darcy (Matthew Rhys) as a married couple some six years after the events of the book. They are hosting a weekend at their country estate, Pemberley, including a ball, but, of course, things go terribly wrong and one of their guests ends up quite dead. Jenna Coleman plays Elizabeth's sister Lydia, while the dishy Matthew Goode, currently appearing on The Good Wife, appears as her feckless husband, George Wickham, who is involved up to his epaulets in the murder plot. Look also for Penelope Keith as Lady Catherine de Bourgh and James Fleet and Rebecca Front as Mr. and Mrs. Bennet, Lizzy and Lydia's parents. 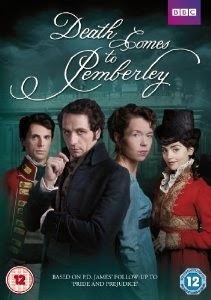 Death Comes to Pemberley comes to PBS on October 26 and November 2. And that's what will be filling your Sunday nights with plenty of MASTERPIECE Mystery! from June to November. Time to stock up on tea and cakes so you'll be ready when the time comes. You can see all the info here if you're aiming to fill out your datebook.